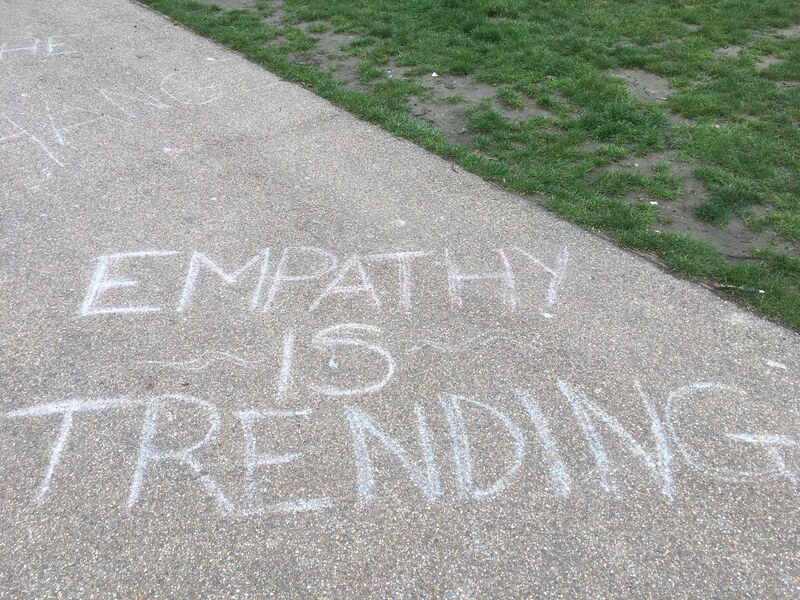 Could understanding empathy unlock the door to more focus and investment in our organisations? So I imagine life can be very exhausting for diversity and inclusion practitioners – and for business leaders and staff who have a high interest in this area. “We know,” they must think every time a new survey reveals a gap – a pay gap, a progression gap, an understanding or perspective gap. “Well duh…” they must think, each time it’s made known that all white, or all male, (or all white and all male) Boards make poorer choices or reveal themselves to be bad leaders and role models. As with so many areas of life (losing weight, stopping smoking, combatting climate change), we seem to be stuck in the ‘knowing/doing’ gap. We know – and probably no-one knows more than professionals who’ve dedicated their careers to diversity and inclusion – that really shifting the dial (we’re 50 years from the equality acts) is very, very, very hard work. I’m hoping that our newly published study on Empathy: the Neglected Superpower might help. Distilled from over 30 academic studies of empathy from across the fields of management and psychology, it provides a few insights that could be a vital part in shifting that dial. Perhaps a neglected area of the diversity and inclusion debate is sacrifice. Asking oneself (or others) ‘what am I prepared to lose for others to gain?’ If some people are to have more voice, power, influence or presence, others are likely to have less. Asked in a vacuum, the answer to the question of sacrifice is likely to be ‘very little,’ why would we want to encounter loss? But asked the question from a true understanding of someone else’s position, a sense of what it’s like to have walked in their shoes, see the world from where they stand, maybe the answer might be different. And getting people to that perspective, that understanding, is about drawing on their empathy. There are two different types of empathy; cognitive empathy – when we imagine what it’s like to be in someone else’s situation, and affective empathy – when we actually experience the emotions of others. If you’re trying to influence business leaders with overactive cognition (who see themselves – highly unreasonably of course! – as a rational automaton for example) then perhaps your role is to chuck aside the excel spreadsheets and try to invoke an affective empathic response. We tend to feel closest to those we know and recognise. The closer our relationship, the more likely we are to feel empathy. So think about the circles of people that are brought together in your organisation to work on different projects. It can be difficult bringing people with very different perspectives together, particularly in cultures that are conflict avoidant or conflict averse. So, skill is required to get these diverse groups working; again consider using the power of personal stories to ‘break the ice’ and reinforce a common bond, bringing empathy to diversity, oiling the wheels of inclusion. I know D&I practitioners will keep on keeping on. I hope this encouragement to foster the best of what it is to be human in their work will help. Onwards..!